Less than three years after Sovaldi’s launch, hepatitis C (hep C) treatment has been transformed, thanks to the drug and rapidly-evolving competition in the field. But only a small percentage of all hep C patients have been treated – so why are Gilead’s sales shrinking? 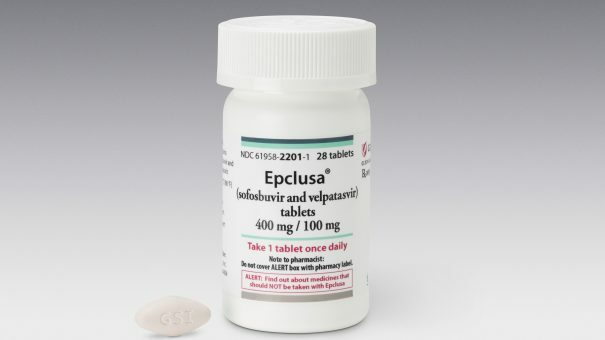 The success of Gilead’s hep C drugs Sovaldi (sofosubivir) and Harvoni (sofosubivir + ledipasvir) is virtually without precedent in the pharmaceutical industry – in the sheer speed with which the drugs have transformed treatment, but also the rapidity with which the picture has evolved. 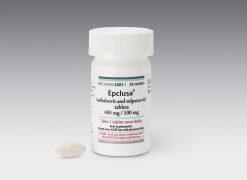 In less than three years, more than one million patients have been treated with a sofosbuvir-based regimen, with the vast majority of these cured of the disease within 8-12 weeks. Other companies, such as AbbVie, Bristol-Myers Squibb and Merck, have also launched similar direct-acting antivirals (DAA), but Gilead controls around 90% of the market. This has resulted in another unexpected scenario: after just a few years, Gilead’s sales are falling back – and the company can’t say if they will ever start growing again. After hitting combined Sovaldi and Harvoni revenues of just over $19 billion in 2015, Gilead’s hep C portfolio looks to have peaked, and even the recent launch of ‘pan-genotypic’ combination treatment Epclusa won’t stem the decline. This is particularly astonishing because the one million patients treated so far really are just the tip of the iceberg: the World Health Organisation estimates that there are between 130 and 150 million people infected with the virus worldwide. After revenues flattened in the first three months of the year, in the second quarter Gilead saw its total sales fall 6%, largely down to shrinking revenues from its HCV portfolio. Sales shrunk in the US, Europe and Japan, with HCV product sales in the US falling 33%. So what are the reasons for this sharp decline? One is increased pressure on prices – while rival drugs such as AbbVie’s Viekira Pak and Merck’s Zepatier have failed to seize much market share, their arrival has forced Gilead to lower its prices. The much-cited US list price of $84,000 for a course of treatment with Sovaldi and $94,500 for Harvoni is now rarely paid, with discounts frequently bringing the price down by nearly half. Another factor is that the sickest patients have been first in the queue for treatment, prioritised to help save lives or prevent the need for an urgent liver transplant. Healthcare payers look to be slowing the pace of treatment, arguing that the next tranche of patients aren’t in imminent danger and can wait longer for drug therapy. That is a highly contentious issue, which Gilead and hep C campaigners will challenge payers on, but it’s yet to be seen how access to the drugs will expand over the next decade or beyond. Analysts fear that there is no growth left in Gilead’s HCV franchise. An investor note from Leerink’s Geoffrey Porges said the firm faces a “steadily eroding mountain of hepatitis C revenue,” and needs to find new revenue streams in other therapy areas. It comes down to just how quickly all those remaining patients will be treated – and that depends on what healthcare systems can afford. Last week the annual World Hepatitis Day was held, and campaigners have called on all strains of viral hepatitis – dominated by hep C and hep B – to be eliminated by 2030. This looks like an unrealistic task given the total infected individuals number around 400 million. This tactic would be warmly welcomed by Gilead and its rivals, as this would mean they could maximise revenues from their HCV drugs before their patents expire. However the new hep C drugs have not only transformed treatment of the disease; they have also changed forever the conversation around how drugs can be paid for. The HCV drugs are unusual in offering clear, long-term value for money by eliminating the disease and future (highly costly) chronic illness, but the high upfront cost is a barrier. Healthcare systems are looking into novel approaches, such as mortgage-like mechanisms, to help spread the cost of these drugs – but will also squeeze as many price concessions from Gilead and its rivals as possible. In the US and Europe, a common way to determine who should receive treatment is via testing for fibrosis, the stiffening of the liver which many hep C patients develop, although this can take decades to become serious. In the US, the Department of Veterans Affairs (VA) provides free healthcare for all ex-military personnel, and is known for providing the highest standards of care – but also secures lower drug prices than other health plans. In March it pledged that it would treat any veteran with hep C with the new treatments, regardless of the fibrosis stage or other markers, extending therapy to nearly 130,000 veterans. Medicare, the US government-run health insurance scheme, is now beginning to follow the VA’s lead, and Gilead sees other health insurers following suit. However Europe looks likely to be slower in opening up treatment. One of the most extreme cases is in England, where the National Health Service is under extreme budgetary pressure. NHS England has taken a number of steps to limit spending on the HCV drugs, mainly by only treating the sickest patients in the first year. In a recent blog, NHS England defended its policy, but pledged to extend access to the drugs – whilst also increasing the push back on prices. 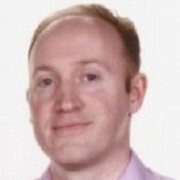 Peter Huskinson, national commercial director of Specialised Commissioning at NHS England, and Professor Graham Foster, professor of hepatology at Queen Mary University of London and the clinical lead for hepatology at Barts Health, wrote that by focusing on the sickest patients, deaths from hep C have been cut by over 10% in just one year. “Few other disease areas have seen such a dramatic improvement so quickly, and everyone involved in delivering these treatments deserves great credit for achieving so much in such a short period of time. NHS England has agreed with the UK-wide decision maker, the Department of Health, to invite the pharma industry to ‘come forward with more innovative, longer-term proposals to allow us to treat more patients within our available resources’. The final major factor is that a large percentage of those millions of hep C patients don’t know they are infected. In the US alone, there are an estimated three million people still requiring treatment, and half of them remain undiagnosed. A huge effort to make HCV screening more routine is getting underway. Gilead says 14 million people in the US were screened for the virus for the two-year period of 2014-2015, with around 280,000 people confirmed as RNA positive. These figures represent a significant increase from the years prior to the launch of Sovaldi, and suggest that it could take decades for all these patients to be identified and treated. This will provide Gilead with a long-term source of income – but is unlikely to ever produce another spike in revenues for the company. While there is a massive – and indeed hugely laudable – task ahead for pharma companies and healthcare systems to eliminate HCV, Gilead has to discover new drugs to reinvigorate its business. The firm’s best bets could be within its existing specialism of liver disease. It is working on treatments for hep B, which affects 240 million people worldwide, and obesity-linked non-alcoholic fatty liver disease (NASH), which has around the same incidence worldwide.